The German Nobel Prize winning writer, Guenter Grass, has passed away at the age of 87 in the German city of Lubeck. His innovative art and striking personality have been shrouded in controversy, his strong political statements spurred most heated debate. “A true giant, inspiration, and friend” is how British Indian novelist Salman Rushdie described Grass, reacting to his death on Twitter. "He has held up a mirror to the Germans,” Joerg Phillip Thomsa, Manager of Guenter Grass House in Luebeck told Ruptly news agency. "His work will stay, he will keep on living through his books." 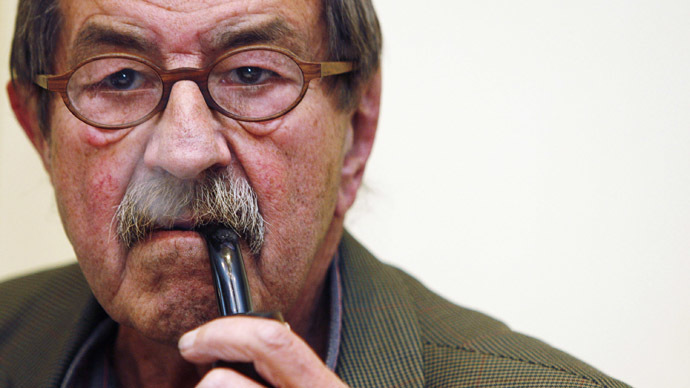 The death of Günter #Grass leaves a void that will be hard to fill. He was an outstanding writer and intellectual, and a close friend. The Swedish Academy awarded Guenter Grass the Nobel Prize for Literature in 1999, praising him as a writer “whose frolicsome black fables portray the forgotten face of history”. However, his path to universal recognition was not an easy one. Grass’s best known novel, 1959’s The Tin Drum, first sparked accusations of blasphemy and obscenity as well as legal suits against the author, but eventually received critical acclaim and was hailed as a foundation of European ‘magical realism’. Günter Grass will be remembered as an intellectual powerhouse whose writing was admired all over the world. He will be missed. RIP. Grass’s other works provoked similarly controversial reactions, which as he confessed in his 1999 Nobel acceptance speech taught him early on, as a young writer, “that books can cause offence, stir up fury, even hatred, that what is undertaken out of love for one’s country can be taken as soiling one’s nest. From then on I have been controversial,” Grass said in his Nobel acceptance speech. Grass’s reputation was tarnished in 2006, when he confessed in his autobiography ‘Peeling The Onion’ to having served in the Nazi Waffen SS. He specified that he only went to war six months before it ended and said he “never fired a shot,” before being wounded and captured by the US forces. Still, many demanded that his Nobel Prize be revoked following the revelation. Grass has been an ardent political campaigner with his views often running contrary to the mainstream. For instance, he opposed Germany's reunification in 1989, after the fall of the Berlin Wall. In 2012, Grass wrote a poem, “What Must Be Said”, which earned him accusations of anti-Semitism and made him a “persona non-grata” in Israel. “Why do I say only now ... that the nuclear power Israel endangers an already fragile world peace? Because that must be said which it may already be too late to say tomorrow,” reads the poem, which also accuses Tel Aviv of desire to annihilate Iran. In spite of his age, Grass led an active public life, appearing in public over the past few weeks, and stated that his political engagement hasn’t faded with years. In one of his recent interviews, he spoke of the danger of NATO’s expansion to the East and accused Europe of promoting unrest in relations between Russia and Ukraine.